Rather than tell you everything you can do in Byron, here are a few of my favourites (and highly recommended to-do's). A must do for all visitors to Australia at some point in time is to head out and ride some waves! 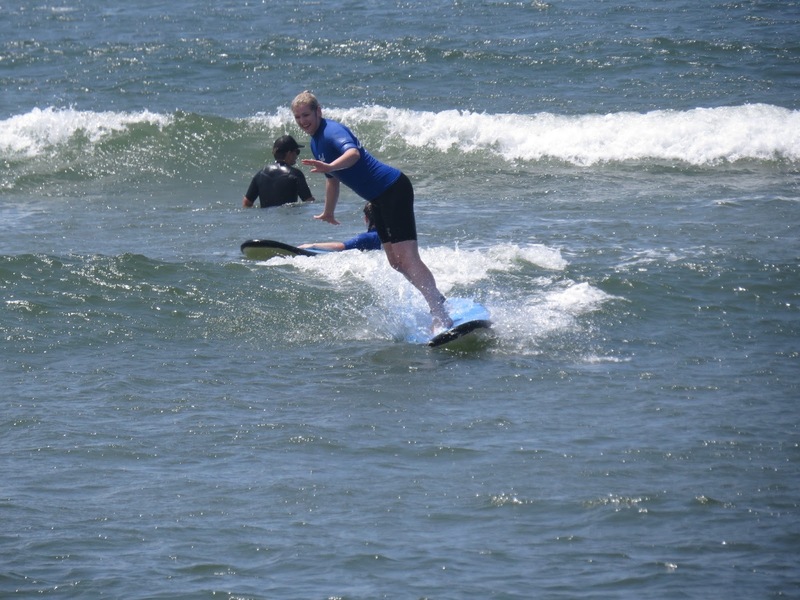 Having never surfed before (how very un-Australian of me!) I was keen to give it a go and maybe be roped into a new hobby. In Byron there are a tonne of surf shops and surf schools so do a bit of research before hand to decide who's the best for you. Some surf schools cater better to complete beginners only, meaning those who have some experience may be left somewhat disappointed. You may often find that the more recommended surf schools are also very busy and take a large number of people out at a time, limiting the time and training you might be given. I have to say, this was one of the most fun things I've tried, even though I was pretty bad at it! The feeling you get when you finally stand up on the board and ride a wave is pretty damn exhilarating. For someone like me who is super clumsy and who has insanely bad balancing skills, this was an awesome achievement and has definitely given me a taste of what's to come (Hawaii watch out)! If you decide to get surfing lessons, I also suggest you hire a wet-suit not only to keep you warmer in the ocean but to also help prevent sunburn. Make sure you lather up in sunscreen as reflection rays off the water will not be your friend. After your lesson, if you fancy giving it a go yourself you can always hire boards from around the bay, averaging between $25 and $35 per day (often discounted for additional days). Another popular activity in Byron is scuba diving at Julian Rocks. This rocky outcrop just off the mainland is home to 1000's of marine species and is a great place for newbie divers and more experienced divers alike. Scuba is something I've always wanted to do, and so I jumped at the opportunity to give it a go on my little holiday. There are 2 dive schools in Byron, both with similar programs and costing the same for introductory dives. You can also become PADI accredited by choosing to do a 3-5 day course if scuba is something you'd like to do again. Personally I decided to go with Sundive and would thoroughly recommend them if you decided to dive in Byron. As a beginner, the scuba lesson began with some safety and theory, followed by a swim in the local hostel swimming pool. After that, myself and my boyfriend were allocated an instructor, Gaye, who accompanied us out on the dive. After the initial shock of the freezing ocean waters, the sights that were before me were incredible! We dived approximately 12 meters deep, swimming amongst an array of multi coloured fish. We were graced with the presence of an endangered grey nurse shark and realised how small we truly are after a gigantic bull ray swam over the top of us! The sea life out at Julian Rocks was incredible, with a number of other sharks, turtles, eels and rays spotted every which way you looked. 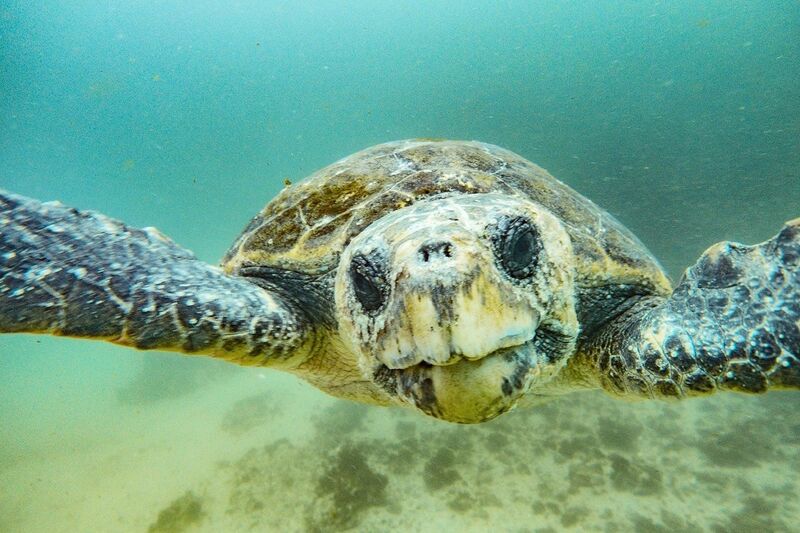 We also met Ted, a huge turtle resident to the bay who is highly inquisitive and happy to get right up in your face! Byron Bay restaurants have pretty generous happy hours to get you in the mood for an evening of fun! Wander along the main street from pub to pub to make the most of the discounts and to meet tonnes of new people. 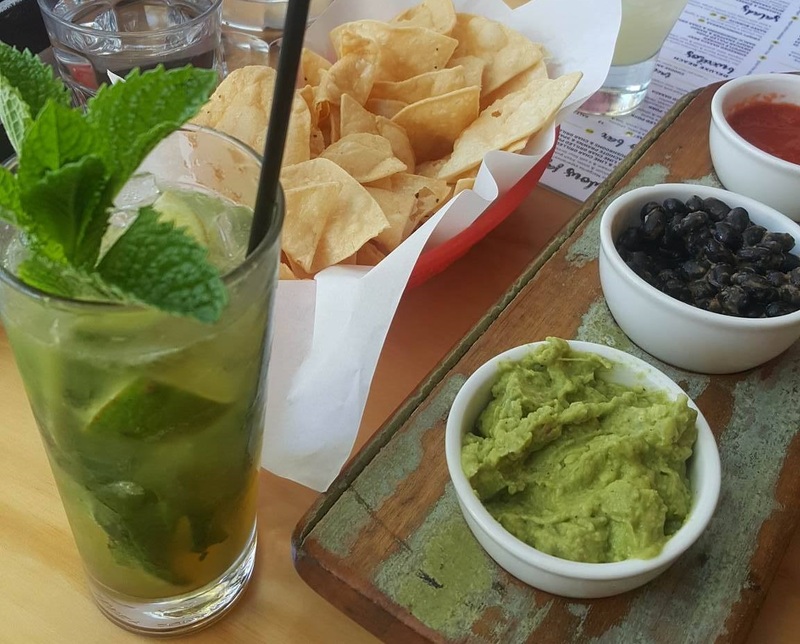 One of my highly recommended stops is Miss Margarita which has an incredible vibe as well as great happy hour specials from 5-6pm daily. They also have delicious Mexican finger food or full blown meals if you fancy a bite to eat with your drinks. Obviously you have to try one of their speciality margarita's but I found their mojitos to be top of the range. For the awkward eaters like myself (who is gluten and dairy intolerant), the menu manages to cater for our needs with a good number of options for all dietary requirements. Byron has some stunning scenery and great lookout points all over the place. The Cape Byron Lighthouse is one of the local favourites with views across both sides of the bay. 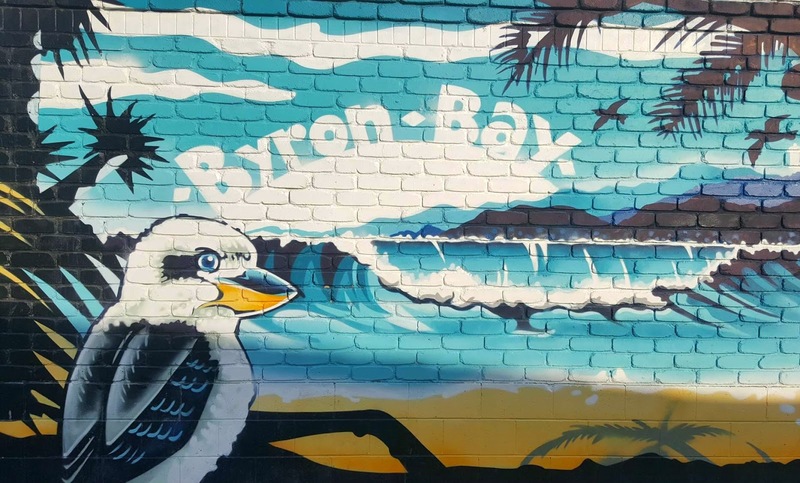 There is also the expansive beaches which showcase the different aspects of Byron as well as a variety of walks within driving distance from the town centre. 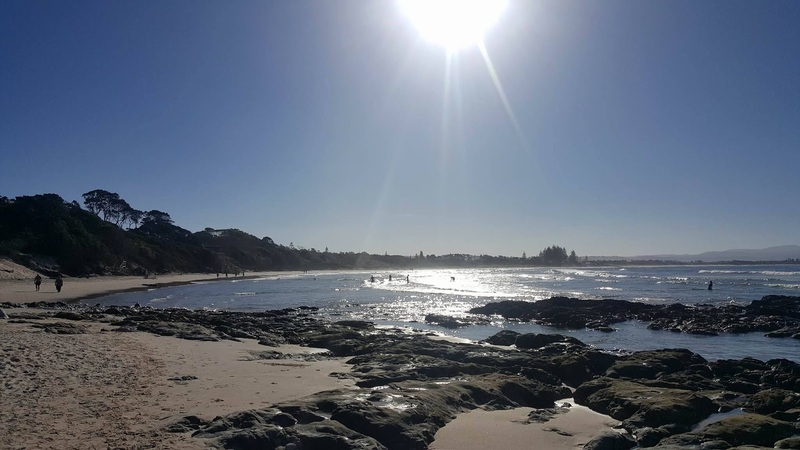 As much as I encourage you to chill out and enjoy the hippie vibe of this coastal town, be sure to get out and see some the natural beauty of the Aussie east coast! My biggest hint is to chat to the locals and find the hidden gems (trust me, they know best! ).